Cascade Lodge provides luxury 4-Star accommodation, and has a south facing veranda. 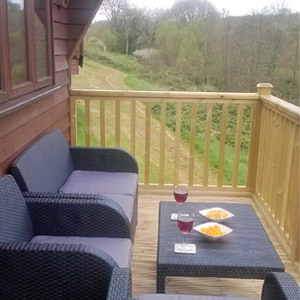 Situated on the side of a wooded valley in a peaceful and tranquil setting, with an abundance of wildlife, the Lodge is ideal for a relaxing holiday. Located within walking distance, the market town of Narberth offers a good selection of shops, restaurants, and other facilities. 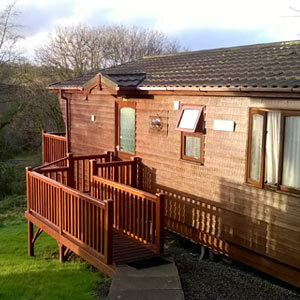 The Lodge is fully furnished with full central heating and is double glazed throughout.